The show revolves around the social and family life of Jenna Hamilton (from her POV) as she goes through the good and awful incidents that, together, enable her to discover what truly matters in her life. 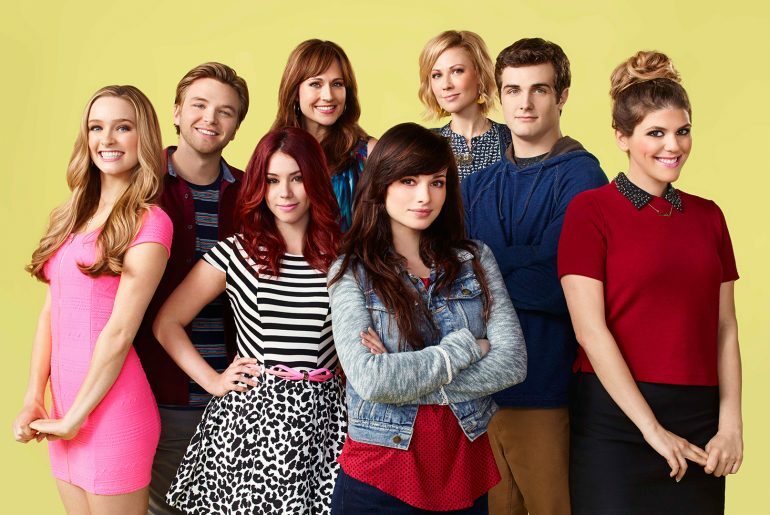 The first season takes off in high school, where Jenna faces the typical teenage obstacles regarding family, friends, guys, and fitting in with the social crowd – but with extremely awkward twists. Boy drama and the search for identity are everlasting and realistic themes that the show never gets tired of bringing up (a direct reflection of the chaotic lives of teenagers). 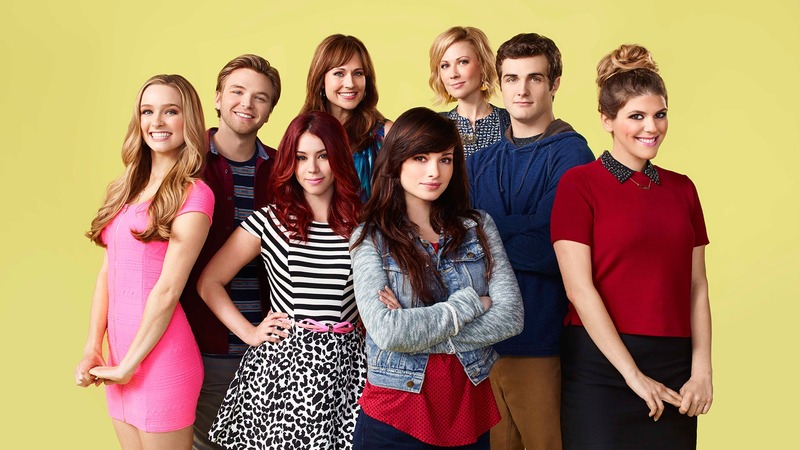 The show is currently in the middle of its 5th season, and after a few months’ hiatus, the series has resumed to when the characters all come home after Freshman Year (Season 5, Episode 13). 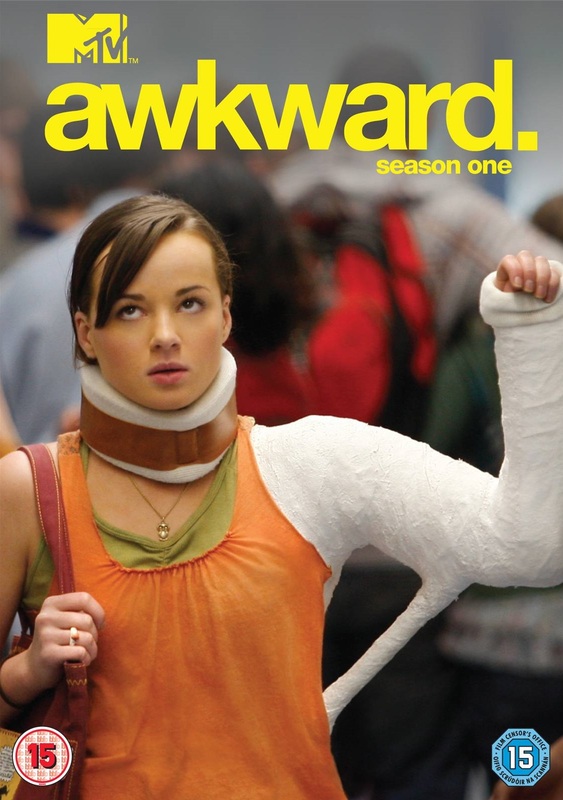 A YA rom-com, ‘Awkward’ portrays many of the possible (and highly embarrassing) scenes that a teenager may encounter in her high school and college career. Though every episode is full of melodrama (even the parents act like teens, geez) many of the events can be highly relatable in other contexts. The characters are quite charismatic, and though I would love to have some of their faces as punchbags (ahem *Sadie*), at the end, they are all down-to-earth perfectly flawed humans. I have particularly enjoyed this second part of Season 5, because it’s really showing the raw and vulnerable side of even the most egotist and confident characters. After freshman year, when they all go back to their hometown and reunite, from Jenna’s POV it seemed that everyone had changed into these ‘strangers’, while she felt like she stepped back into Awkward Jenna again. But through flashbacks and confrontations with other characters, everyone else, like Jenna, were too blinded by their own issues and flaws, which is just beautiful. Depression, weight, bullying, rejection, etc. are all confronted throughout the show, and though many of the characters start off as the typical school types – weirdos, geeks, nerds, jocks, cheerleaders – their humane sides enables them to evolve from those stereotypes. When you look past the drama, the dialogues in the show can actually be pretty good and witty at times, too. I’m okay with the show being melodramatic and having their protagonists reciting Romeo & Juliet lines to each other, but, like many shows, the portrayal of love is just too much for me. The Awkward gang you see here (except for the two adult females at the middle back and Sadie the bully, on the right) have pretty much dated each other on-and-off throughout the seasons. Dating your best friend’s girlfriend/boyfriend seems to be the dating theme here, and they just never seem to learn from the same mistakes. Oh, and other students/people have also popped up in the series every once in a while, usually as a romantic interest for one of the characters, or more. Usually the exes are out of the picture for good, but a few have come back from the dead after some coincidental encounter that swoons the character/s back into their arms again. Besides the love aspect, I wish that, for once, the adults would start to act like adults. The parents still sometimes pretend Jenna doesn’t exist, Valerie the school counselor pretty much disappears and appears whenever she feels like it (and has worse issues to deal on her own than unstable teenagers). I like the show (and still watch it) because it portrays the characters like raw human beings. Though the excessive makeup sometimes make the characters look 10 years older than they should be (most shows do that anyway), at least most dress like normal people would. The stages of my (high school) life have progressed at a similar rate to the show, and it was often really fun to watch some of the things that the characters were going through that were similar to mine. I assume that makes the age range for this show’s audience quite narrowed down to teens and young adults. If you are one (mentally and/or physically), and you enjoy dramatic 20-minute rom-coms, then this show is for you. I’m with you. I really like Awkward, but sometimes the over the top melodrama is extremely off-putting. And the fact that the adults don’t act like adults is just crazy, haha. But I think that all of this melodrama (the parents, the relationships, the dating-your-best-friends-ex storylines) make Awkward the absolutely perfect guilty pleasure show. Jenna often annoys me, but the other characters are so beautiful. I actually love Sadie, even though she acts horribly most of the time haha. Maybe it’s trying to appeal adults-wanna-be-teenagers xD? I think that as the protagonist of a show called Awkward, Jenna is meant to be flawed and make (stupid) mistakes every once in a while. But I like how she always seems to learn from them (but god her love life is still a mess, if you ask me), but she’s not the most annoying person, tbh. I like Sadie too haha, and Sergio is just such a sweetheart, which their love-hate relationship just perfect. Actually, now that I think about it, I find all the main characters annoying to some extent. The ones that I like are usually secondary characters, like Luke, Sergio.. and others like Bailey and other girls who seem to just disappear?? Do you remember Ming? She just disappeared into the Asian Mafia or something. I hate when the producers ‘kill off’ a character without any explanation whatsoever.